Along the Chuo line, the last thing a yakitori fan needs to worry about is a lack of options: get off at any station between Tachikawa and Nakano and you’ll soon come across a smoke-filled people’s izakaya where the beers are cheap and the chicken is competently grilled. What can be harder to find is a slightly classier bird bar – and if you can’t stand cigarette fumes or prefer a craft brew over a pint of Super Dry, the field narrows even more dramatically. Ticking all the above boxes with ease, Yamamoto is one of the finest additions to Mitaka’s dining scene over the past year. 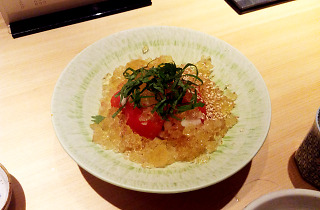 Opened in September 2015, in the basement of a plain-looking apartment complex a brief walk north of the station, this chic eatery quickly earned the trust of the locals – that group including quite a few employees at electronics giant Yokogawa, whose bulky headquarters towers over the street outside. Once inside, you’re greeted by a handsome, L-shaped hardwood counter, behind which chef Yamamoto and his youthful entourage huddle. You’re also sure to notice the open sake storage room, where bottles of junmai (pure) nihonshu await opening in wooden racks that cover the walls from floor to ceiling. Starting with a serving of aged kanzake (warm sake) is the Yamamoto way, but we were immediately drawn to the beer list: six brews are on tap at all times, with our visit seeing highlights like Shiga Kogen’s House IPA and Shonan Golden Ale. 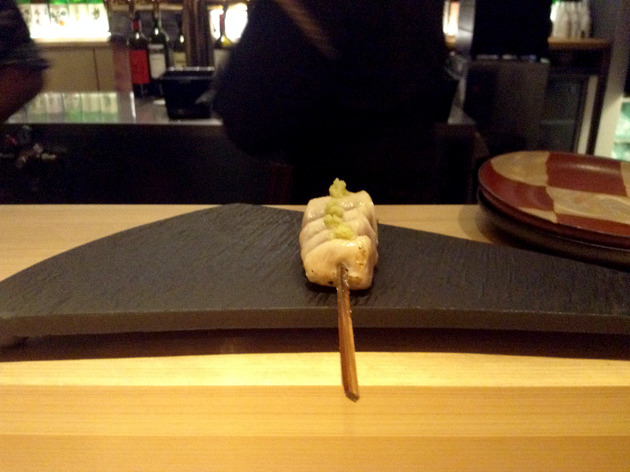 And what about the yakitori? It’s excellent, both in terms of taste and value. 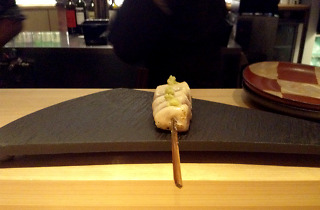 A mere ¥1,400 gets you a seven-skewer set, which goes from superb, lightly grilled tenderloin topped with wasabi to heavenly liver and juicy chicken hearts. Each skewer is served separately, directly from the grill, and you can order à la carte additions (from ¥200) at any time. 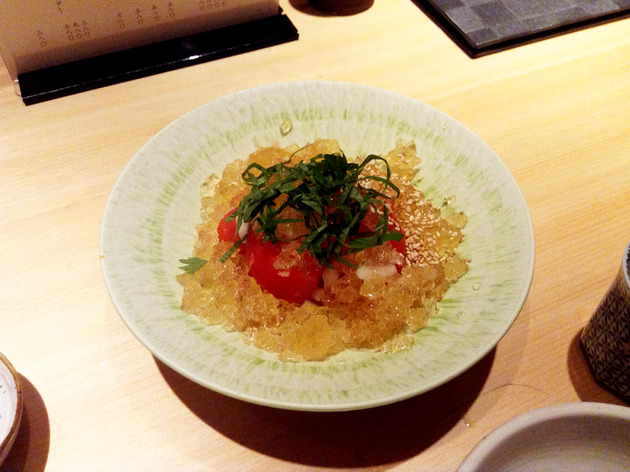 We also loved the non-bird appetisers, including the chilled tomato with sweetened vinegar jelly and shiso leaf (¥580). Our only regret was being too full to finish off with Yamamoto’s famed oyakodon (chicken and egg over rice) – next time, surely.